The FBI arrested two city police officers on Wednesday morning on charges of illegal motor vehicle stop and extortion, according to federal authorities. 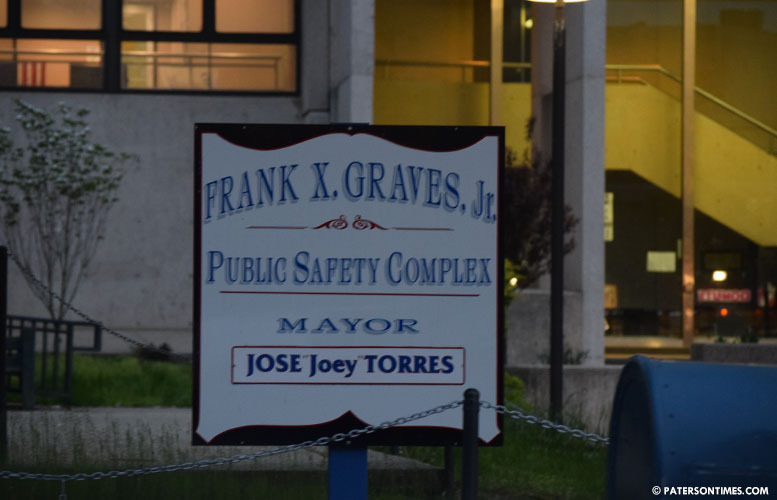 Jonathan Bustios, 28, and Eudy Ramos, 31, both Paterson residents, are accused of conspiring to deprive individuals of their civil rights under color of law. Additionally, authorities alleged Bustios committed extortion under color of official right by accepting a firearm in exchange of reducing charges on an arrestee. Authorities uncovered instances in which Bustios and Ramos stopped motor vehicles, detained people, conducted car searches without justification. In some instances, both men took cash and other items without justification before releasing the detainees, authorities said. On February 20, 2018, Bustios pulled over a BMW and stopped behind the vehicle while Ramos blocked the car’s front. Both got out of the car to search the front and back of the BMW and trunk. The vehicle’s two occupants were searched and put into Ramos’s police car’s backseat. Following the search, Bustios left the scene, drove for ten minutes in his police car and took out a white plastic bag filled with cash. Authorities alleged Bustios also took out a firearm. Bustios called Ramos to release both occupants. Both officers met to share the recovered cash. Bustios passed a portion of the cash to Ramos through the window of his police car, authorities said. Later that day, both officers turned in the firearm that was recovered. In the offense report, the officers told a false story of having recovered the weapon through a citizen tip. Neither reported the motor vehicle stop, search, detention of occupants, or cash taken, authorities said on Wednesday. The search was done without warrants. On March 14, 2018, Bustios arrested and detained a person in his car’s back seat. He told the person he would not file charges of resisting arrest and not seize cash if the detainee helped him to acquire a gun. The individual agreed and helped Bustios to find a firearm. Bustios recovered the weapon and did not turn it in to police. Police record shows Bustios did not charge the individual with resisting arrest, authorities said. Bustios allegedly submitted an arrest report that failed to mention details about the weapon recovery. Both men face 10 years in prison. Bustios faces an additional 20 years, authorities said. Bustios and Ramos were hired as police officer in Jan. 2014, according to municipal records. Good!!! That scumbag Bustios robbed my nephew of almost $4000 cash he withdrew from the bank to buy a car, he had the bank receipt with him it didn't matter, it was during a traffic stop back in 2016. He threatened to plant drugs on him if he didn't let him take the money! I hope he rots for 20 years! 2 down, many many more to go! They did the next day. He get the cash back? If not that is grounds for criminal charges and a civil suit.